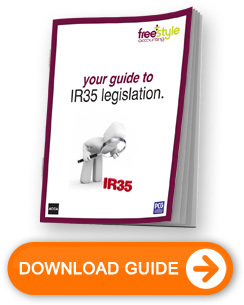 What is IR35 and why was it introduced? IR35 was introduced because the Government believed that some contractors were providing their services through a limited company or a partnership as a means of avoiding tax and national insurance contributions (nics). The IR35 legislation effectively seeks to determine what the relationship would be if you were engaged directly by the End Client; in short it asks the question - are you an employee "disguised" behind your limited company?" This relationship will be documented by two contracts: the one that the agency signs with the End Client to find the resources which will allow the End client to complete the project; and the contract that the Agency signs with the Contractor’s Limited Company. More will be said about these elsewhere later, but the first thing to notice is that there is no contract between you, the Contractor, and the End Client. What, however, IR35 seeks to do, is create a hypothetical contract between you, the Contractor, and the End Client to establish what the relationship would be if you were engaged directly by the End Client. Intermediaries legislation. How, HMRC and indeed we on this side of the profession determine the status is demonstrated below. However, we would just like to finish this section by considering what the implications are of you being “caught by”, or deemed to be “inside of” IR35; i.e. your relationship with the End Client is deemed to be a ‘contract of service’. Essentially, you will be deemed to be an employee - but not of the End Client, nor of the agency, they are both off the hook – it will be your company that will have to meet the additional tax liability under the “Deemed Salary Calculation”. It is impossible to quantify with any accuracy what that additional tax burden will be without knowing the specifics of each case – the turnover of your company, the amount taken by the shareholder(s) as salary, the amount distributed as a dividend – but as a very rough guide, the likely cost to you will be equivalent to the Employer’s and Employee’s National Insurance Contributions not paid as a result of paying dividends, plus interest and if they can, HMRC will also seek to levy a penalty. This could add at least another 25% to your tax bill. The IR35 'Deemed Salary Calculation. If you wish to know how the Deemed Salary Calculation works, then please view the Deemed Salary Calculation page, which is taken from HMRC’s own website, but in essence once a small allowance has been made for expenses, the remainder will be deemed to be your gross pay and the Employer’s NIC due to HMRC. As you can imagine, being reclassified as caught by IR35 is a painful and expensive experience; please see the Professional Expenses Insurance to find out what Freestyle Accounting contractor accountants have put in place to make sure you are given every opportunity to fight your case successfully and not succumb to a huge tax bill. Please read our article on determining your IR35 status to understand what HMRC will be looking for.